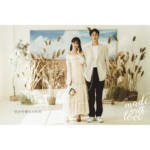 Lim’s wedding story is a collection of Korea pre wedding photography. Various services are conducted based on a lengthy period of wedding experience. Various wedding studios, wedding make-up, and wedding dress are increasing customer satisfaction. Share your wonderful wedding scenes in Korea. Third, Romantic Wedding Ceremony Shot Service. Record the beautiful moments of the wedding ceremony. If anyone has a special moment, Here’s Lim’s wedding story.